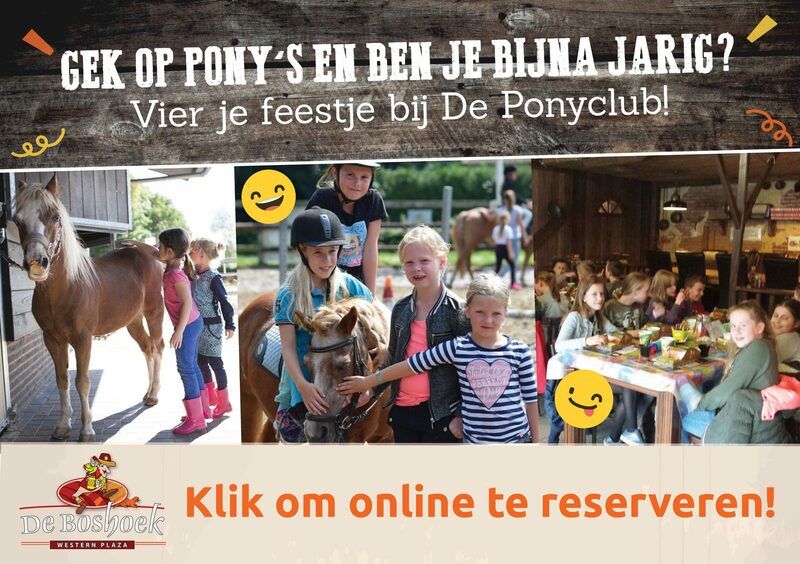 Ponyclub De Boshoek: the perfect place to celebrate your children's party as a horse lover! The ponies in the Pony club enjoy looking their best. And you can make sure they do! 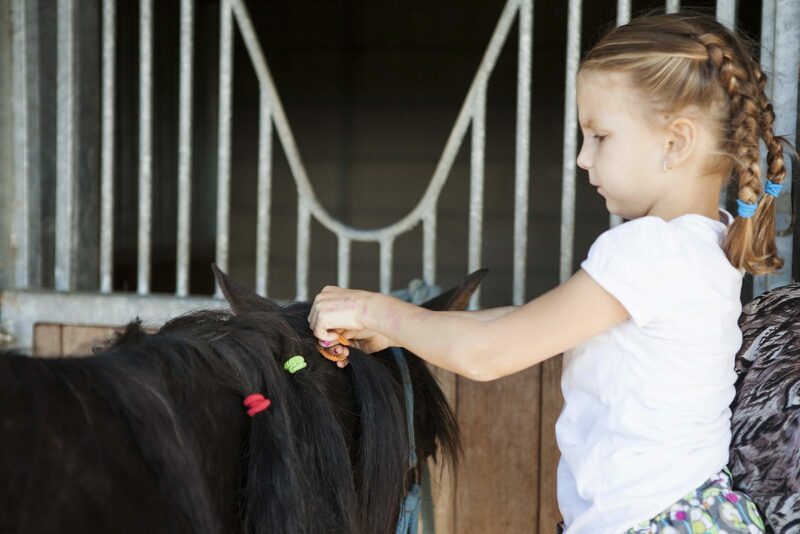 There are elastic bands and braids, but first we'll clean and brush the ponies. Your pony will of course be the most beautiful pony of all of Voorthuizen, so it's time for a picture. The photo will be printed right away! A nice memory of your children's party! After grooming the ponies, we'll enjoy some nice horse games. From horseshoe throwing to "koekhappen" while sitting on a horse, it will be a blast! 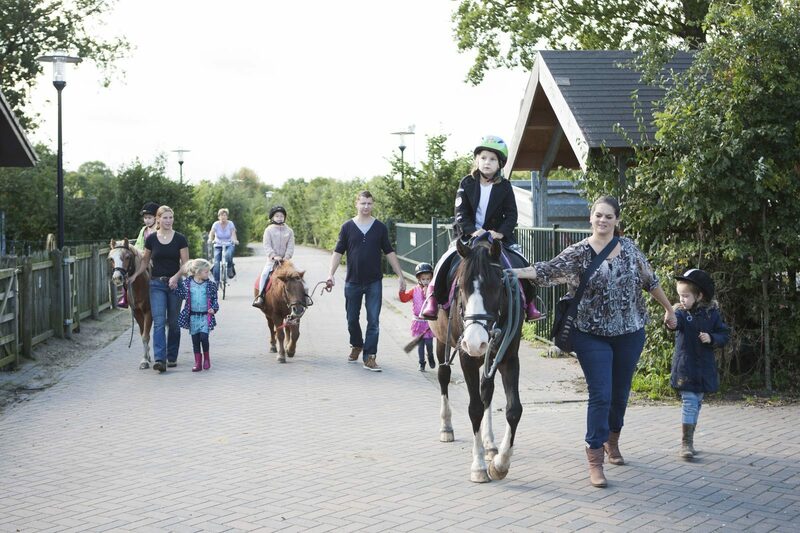 Once you're done with all the activities at the Pony club, you're not ready yet. The picture that was made still needs a nice photo frame, which you'll decorate yourselves at Western Plaza. No children's party is complete without chips, a snack of your choosing and unlimited lemonade! It's a good thing that we have more than enough of those at Western Plaza. As an adult, you also have a party today. You're part of the party and for you we have chips, a snack of your choosing and unlimited hot drinks. You'll pay €14.00 per child. Reserve this children's party for 4 children or more. 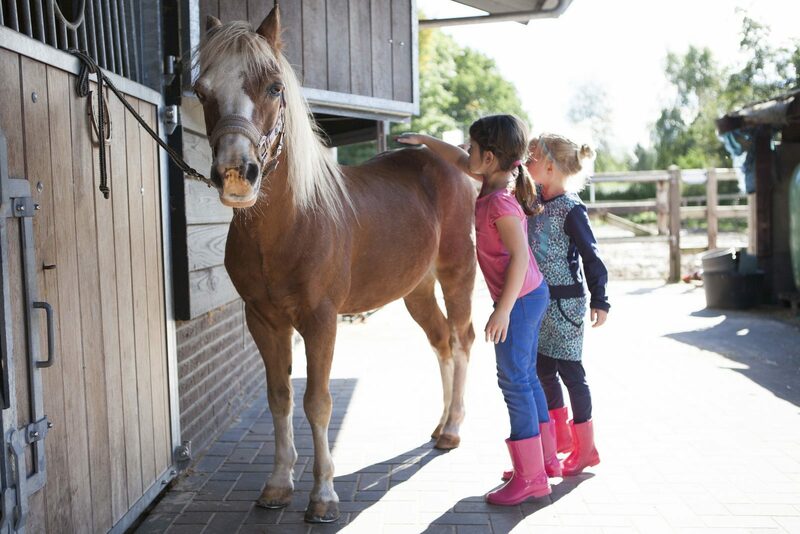 1 pony will be available for every 2 children. Turn it into an extra nice children's party! Make this party even more complete with one of the following options. Please mention these when making a reservation. In the Bedrock Bowling cave you'll find 4 computer-controlled bowling alleys. Children's bowling has never been as nice as it is at Western Plaza. No need to keep the score, the alley will do that automatically. This way you can completely focus on the game. Mini golf is fun for everybody! The children can expect all kinds of obstacles at our 18 holes. Those obstacles will make the game even more exciting. Who will win? The 18 holes will at least provide a great opportunity to practice well! A bag of candy with different sweets. Always fun to surprise the kids during the party or to give it to them when they're going back home. There's an indoor pool next to Western Plaza. Even when it's raining cats and dogs, it's always nice in the pleasant Mediterranean swimming pool of Recreation Park De Boshoek . The temperature of both the toddler pool and the 7 x 13 metres pool is around 30°. Nibble, nibble, like a mouse, how beautiful will you make your house? Great to eat or too beautiful to destroy? Good thing you don't have to decide right away, because we'll make a beautiful gift box in which you can take your candy house home. A real nice candy house of course deserves a beautiful transport, so pimp your gift box and make it into a nice work of art. 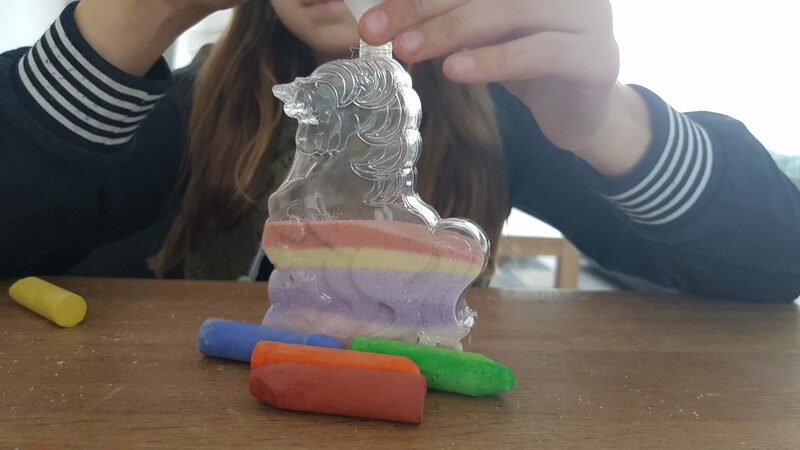 Candy house party is coordinated by our hostess; you yourself will help with making the candy house and decorating the gift box (the birthday boy or girl will certainly enjoy that). Book your favorite children's party directly online!